People love social media. But some people love it … more than others. Dare we say too much? They love it enough to name their child “Like” in honor of the Facebook button. They love it so much it becomes more than a way to connect – it becomes the centerpiece for celebrations, an over-arching decorating theme, or the linchpin tying together their proposal. 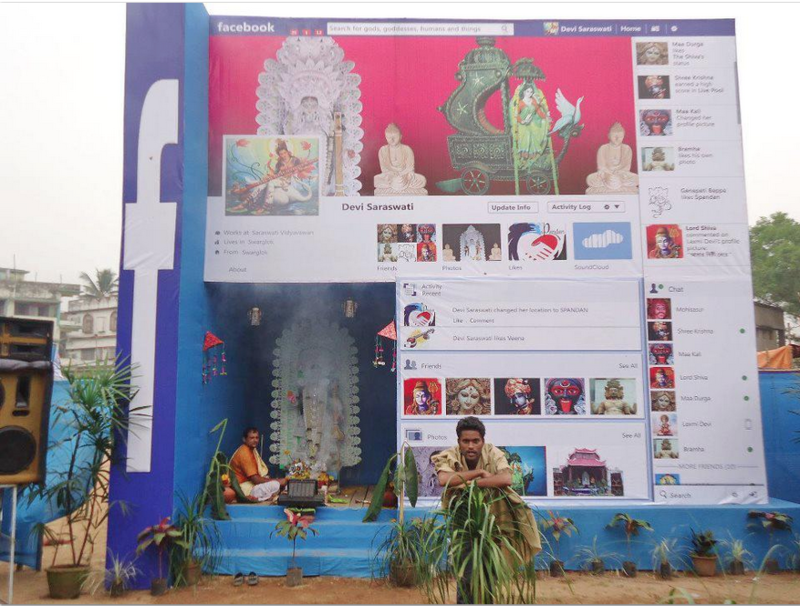 We’re still not sure what’s going on with the Facebook-themed Hindu temple shown above, but the photo’s an example of how lavishly some people are displaying their affection for social media. We rounded up some of the most over-the-top examples of people who inject their social media obsessions into all sorts of different places in their lives. 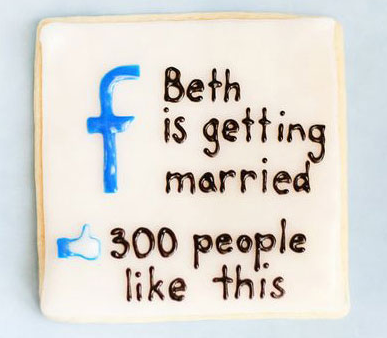 We live in a world where people obsessively use social media to announce and plan their weddings. But some people take a few steps further when it comes to integrating their nuptials and their favorite networks. 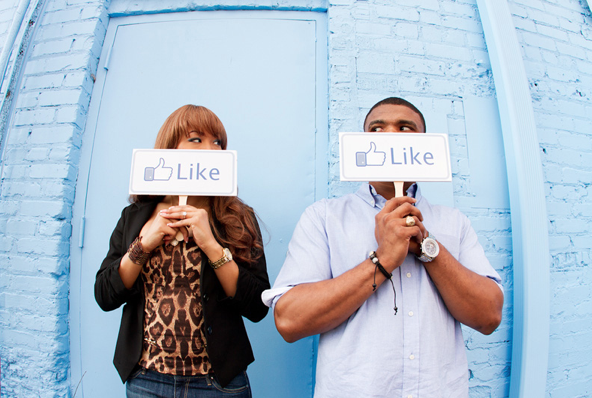 For example, Facebook-themed engagement photos are now a thing, as a photo shoot by CreativeSoul Photography demonstrates. The photographers said they did the shoot because the couple met on Facebook, but that there wasn’t a particular upshoot in social-media themed photography within their company. Engagement pictures always walk a fine line between endearing and horrifically cheesy, so I’m not sure whether embracing our “like” fueled world makes these pictures better or worse. It definitely helps them stand out from a late-20-something’s engagement-saturated Facebook feed, just because they so openly celebrate the social network’s influence on relationships. But lest you think Facebook is the only platform to include as an absurdly prominent part of walking down the aisle, have no fear – people are doing equally elaborate things using Instagram as well. Prime example: one man orchestrated an extremely elaborate and awesome proposal that combined frequent Instagramming with a paean to Gossip Girl. The thought and time put into it are very sweet, and the bride-to-be catalogued the experience on her website. Her fiance led her on a scavenger hunt through Manhattan, giving her clues through the photo-sharing service – clues that led to lux gifts like a fancy dress and macaroons. The adventure culminated in the proposal, and both the ring and the reaction were also captured on Instagram. We asked the fiance why he chose Instagram as the conduit for his romantic overtures. “Although Instagram is my favorite social media platform, it wasn’t the reason I had chosen it as the forum. I chose Instagram because of it’s simple interface and it’s ease of use with the iPhone.” If you’re thinking of proposing to your beloved using Instagram, his account shows photos from the successful excursion. And it’s not just weddings that get an Instagram-themed makeover – there are now Instagram-themed bar mitzvahs, proving that honoring your obsession with digital sharing doesn’t have to start when you’re an adult promising to love another adult – it can happen when you’re a 13-year-old with a Torah. So there’s a lot of social-media related stuff popping up when it comes to celebrations, but that’s just the tip of the Facebook and Twitter-tinged iceberg. 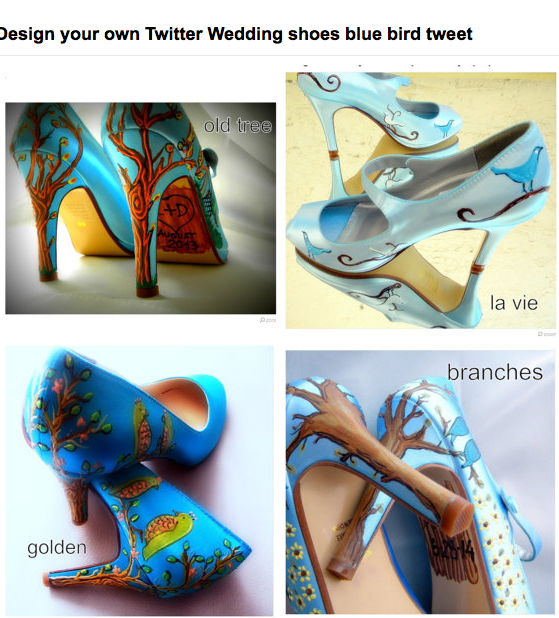 Etsy is a virtual treasure trove of social-media related goodies, and a simple search can pull up a dizzying array of clothes and accessories that broadcast your obsession with status updates and re-tweets to the world. 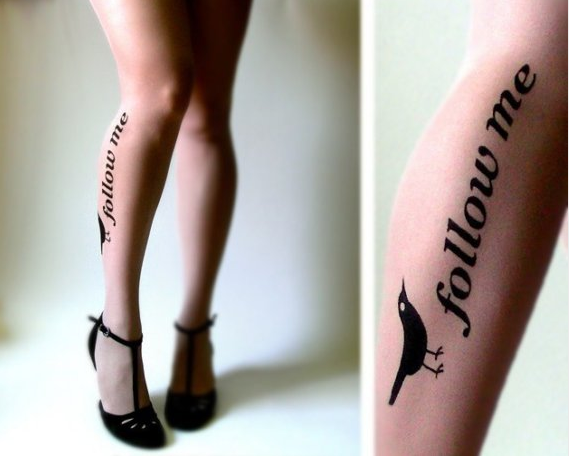 Take, for instance, the “Follow Me” tights available – now you can boost your follower count just by slipping on some stockings. 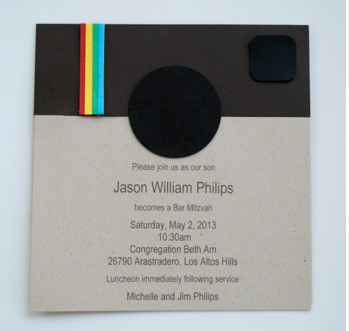 As social media continues to be an integral part of socialization, I suppose it makes sense for people to adopt it as a theme for parties, events, and their fashion statements. Hopefully some draw the line at tattoos, since social networks tend to fade into obscurity long before ink fades. 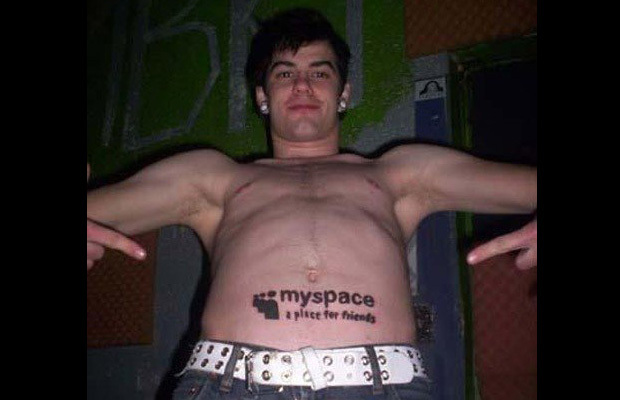 Just take this MySpace tattoo as a general warning.